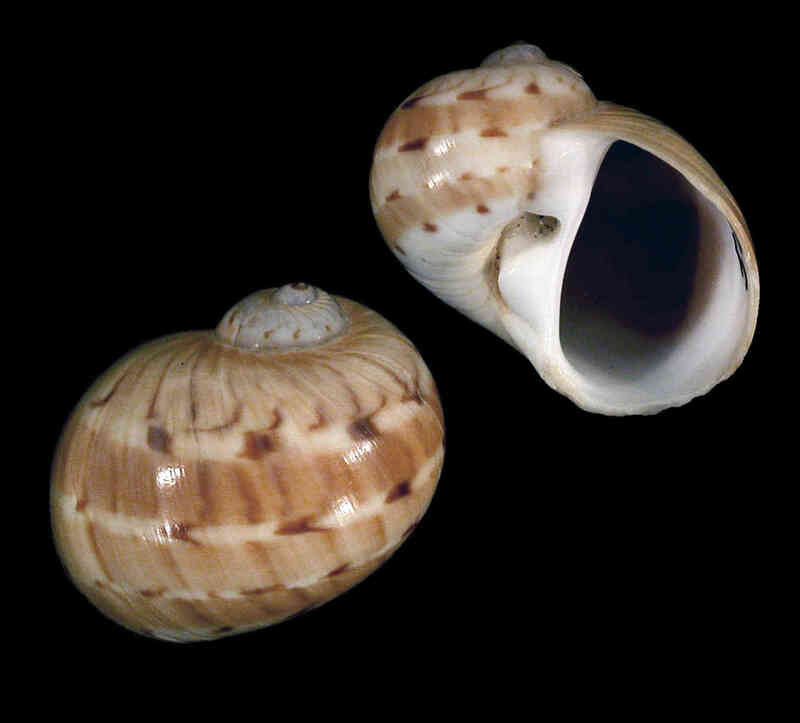 Shell size to 38 mm; shell globose, thin-walled. Umbilicus white, deep, filled in part by white, plug-like callus. 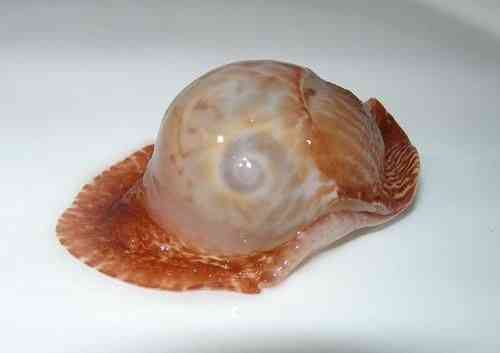 Operculum calcareous, white, with about 7-12 spiral ridges. External surface of operculum with about ten strong grooves. Background color white, with alternating reddish brown and yellowish bands with transverse, wavy, dark brown bands. 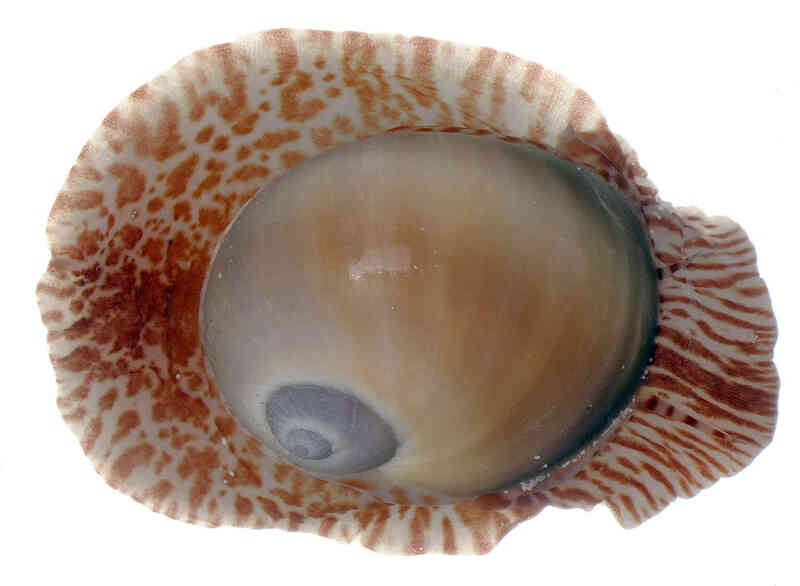 Aberrant shells lacking the bands and other color elements are not very uncommon (see supplementary image of live animal with shell lacking major color elements). 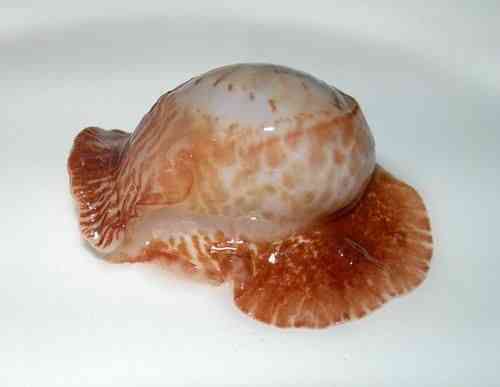 The pictures of the live specimen were taken by Amy Tripp in Marco Island, Collier County, in December 2012. The photo of the live animal with "even-colored" shell was taken by David Graff (Florida DEP) on Keewaydin Island, also in Collier County, December 2015. 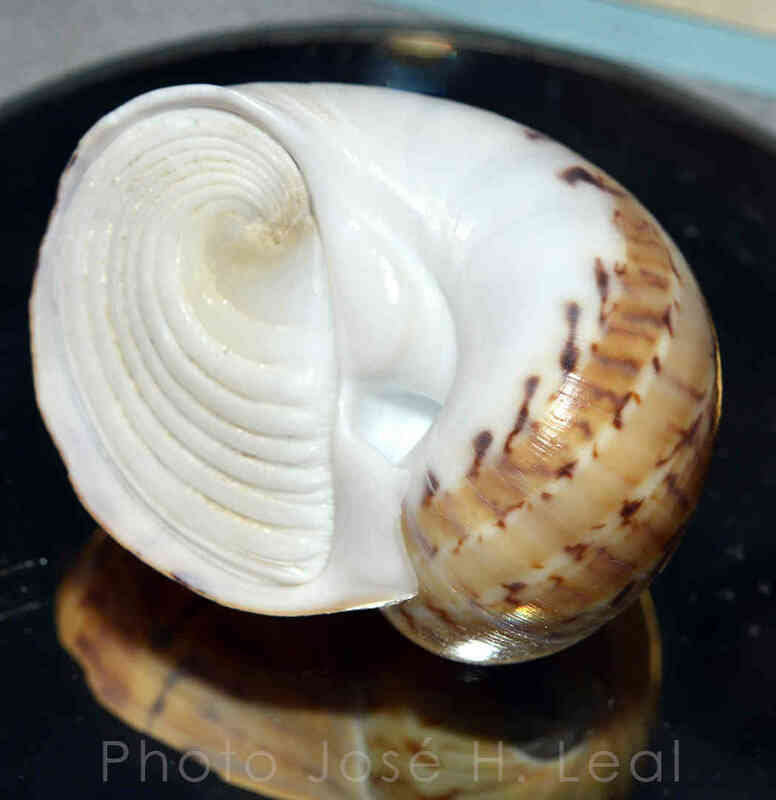 And the shell on the extreme right of the illustration, with operculum and collected dead by Amy Tripp on Kice Island, received the “Marilyn Northrop Award for Shell of the Show, Self-Collected” at the 2016 Sanibel Shell Show.